Ryan Kaiser has survived a mountain of pizza and dodged falling balls to bring you this grim report of two returnees felled in a single episode, all thanks to ... dammit, Wardog. Ben looks at the implicit majority-vs-minority dynamics and the behavior of 'caught' mafia players in online mafia games, and finds parallels to the implosion of the Kama majority in Episode 9's chaotic live Tribal Council. 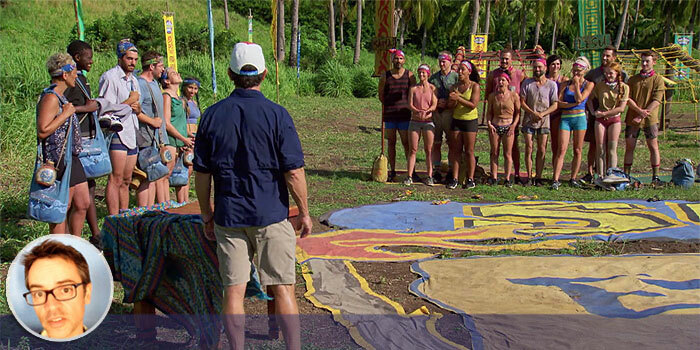 Pat talks about how the collapse of Julia's game can be explained by the 'swift trust' organizational theory: as in, while trust is necessary in Survivor, rapidly-acquired bonds are more easily broken, as the younger Kamas did in the previous episode by blindsiding Eric. Chaos is a ... pilotable aeronautic vehicle? Jeff reflects on a fun date with a mostly silent Probst at Tribal, some fun date-related data in making this one day an episode, the eerie silence about the larger game at Edge of Extinction, and some fun facts on challenge performance rates. Amidst the turbulent waters of Tribal Council, one calm, half-idol-wielding chap provides the landing lap for people jumping ship. No, it's not Wardog. 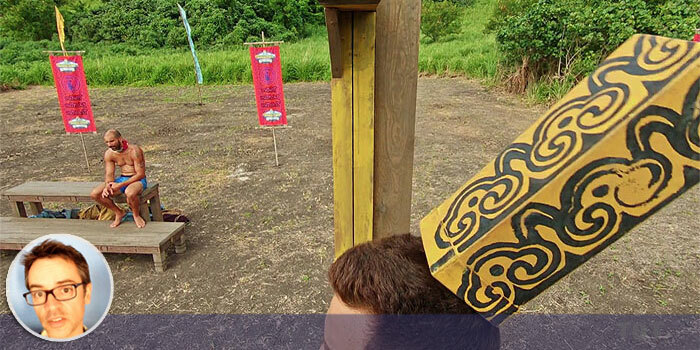 Ryan navigates the all-Tribal episode, and recaps its high points and low blows, like hiding the person who has (allegedly) been running the show. Jeff takes an extended dive into trying to read the edit, wondering whether we're seeing a turning of the tide in the season-long editorial disdain for the Wardog, what we're supposed to make of big moves from invisible players, what's up with the extra vote expiration, and more. Ben sifts through the episode's plethora of gameplay, finds which contestants played well or poorly, then tackles the larger question of when it's ideal for a member of a large group to make a move against their allies, with historical precedents. The cost of inflexibility: Did Devens just get sunk? With the players realigning seemingly at random, Pat turns his attention to Rick Devens and his refusal to work with Wardog. Is Rick's refusal a Survivor example of the behavioral economics concept of the sunk cost fallacy? Ryan takes stock (stake? steak?) of the state of the game after the Kama kollapse, and revels in the no-longer-purple reveals of Aurora and Julia as power players, and Wardog as a number-crunching, ____-logic-playing, actual puppetmaster. It's time for the semi-annual (post-) merge Power Rankings! This one is all about power, as Pat takes a mid-season sabbatical to re-rank the remaining dozen (plus four) Edge of Extinction players and their likelihood of victory: Likely, Possible, and Unlikely (no win in impossible at this point). Analyzing the happenings of Episodes 5-7, Ben Martell questions the continued use of the two-to-three tribes expansion swap, argues that Joe's early dismissal to the Edge will actually work against his chances of returning, and picks his potential winner for the season. It was the best of times, it was the blurst of times. Edge of Extinction's merge tried to do too much in one hour, and while the re-entry challenge worked well, the post-return portion was a confusing mess. Still, here's an attempt to discern Joe's intent, the edit's foreshadowing, and what's going on with the jury. Edge of Extinction contestant info and performance scores. All the crap that happened, updated as the show airs. Detailed episode-by-episode challenge/tribal performance records. Pat Ferrucci examines the show via communication theory. Dan Otsuki's occasional look at EoE character development. Ben Martell's weekly examination of Edge of Extinction gameplay. Ryan's weekly irreverent Edge of Extinction recapping. Long-winded, data-laden EoE opining by Jeff Pitman. 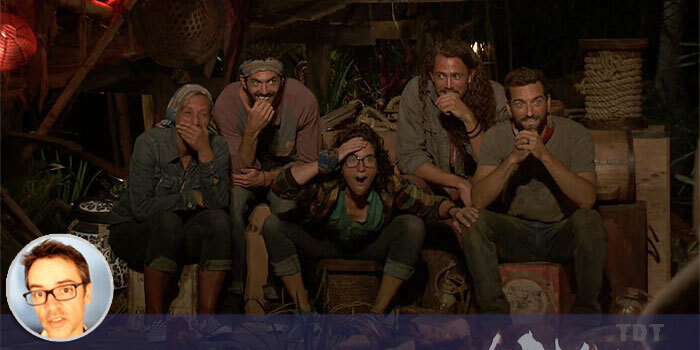 Our coverage of every Survivor season. Survivor cast stats and pictures, sorted by name. That one person? From that season? Ah, there they are. Single-season and all-time Survivor individual scoring leaders. Full-season individual contestant performance stats. Survivor 39 contestant info and performance scores. Survivor 40 contestant info and performance scores. All the crap that happened. Updated as the show airs. Complete S37 contestant info and performance scores. What happened, when. Updated as the show airs.